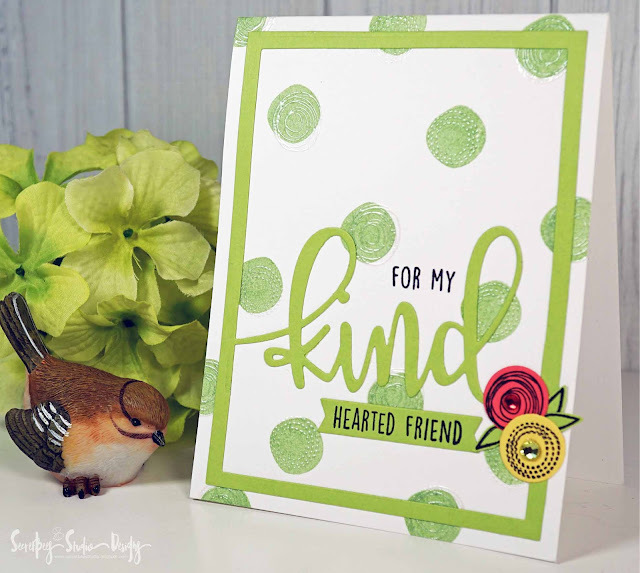 Secretbees Studio: Kind Hearted Friend! Hi everyone! I love Polka Dots! They are a great design element and can be fun, romantic and even classy! I used my love for big polka dots on this soft, yet colorful card! I've been wanting to use the Concord & 9th card frame for a while now and was pleasantly surprised by how easy it was to use and by the awesome results! Large word sentiments always look great on cards and this one is no exception. 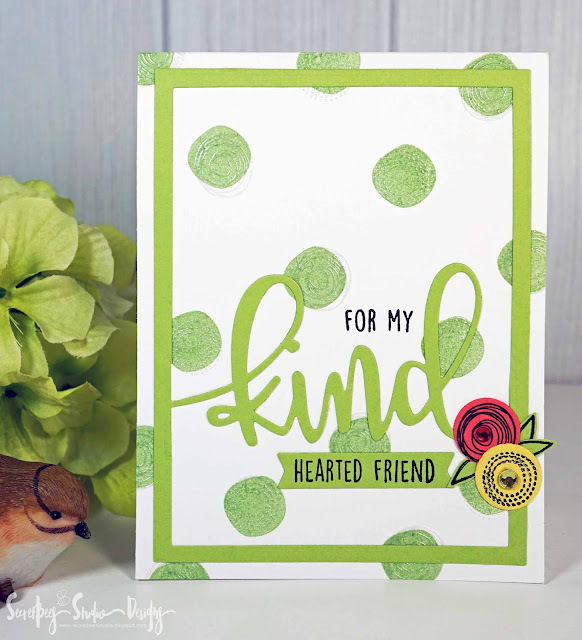 I started with a white card base and added in large, light green polka dots. For some pizazz and a little shine, I added embossed images over the dots in a soft pearl white. 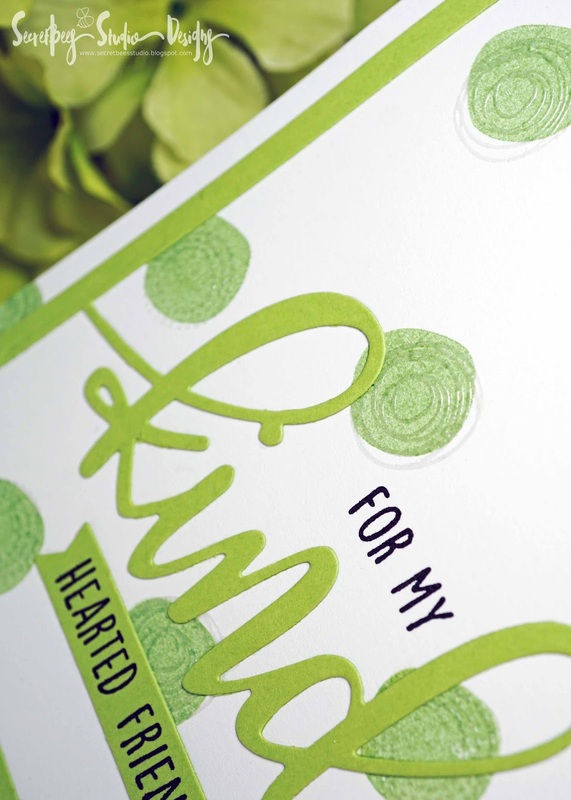 The 'kind' frame was die cut out of coordinating soft green card stock and layered over the background. The circle flowers mimic the polka dot design and add a sweet pop of color to this clean and simple card. The finishing touches were some accents in black and some sparkly gems!